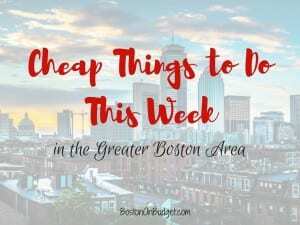 Cheap Things to Do This Week in Boston for August 28-September 1, 2017! 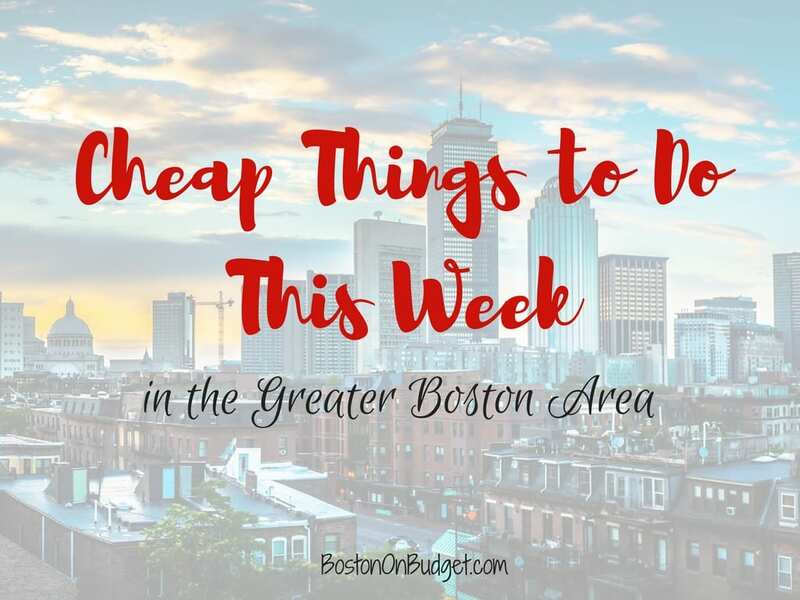 There are so many fun and free events in Boston during the weekdays, especially in the summer! Please keep in mind that info can change, weather can damper events, and I can make mistakes (especially with this newborn! ), so please so your due diligence and check event info before heading out to ensure the event listed is still happening. Thanks! Stump Team Trivia (Dedham): Head to Dedham Square Coffeehouse on Wednesday night at 7:30PM with free trivia. Reserve your free ticket. Aeronaut Neighborhood Nights: Enjoy a beer garden featuring food trucks, music, and more at Zone 3 in Allston starting at 5PM. Berklee Summer Concert Series: Free Live Music at the Boston Public Market at 5:30PM in the Market HUB! Summer Concerts on the Greenway: Free music at 5pm on Friday nights at the Greenway’s North End Park. There are a lot of discount tickets in Boston available through our friends at Goldstar Boston. Goldstar is free to use– they may just ask for your e-mail to send you an occasional e-mail for events. I am an affiliate partner and may receive a little thank you for sending people their way– please read my disclosure policy if you have any questions. Provincetown Fast Ferry: Head to Cape Cod for the day or longer with a 90-minute ferry to Provincetown. Discount tickets start at $48.75 + service fees for select weekday cruises. Boston to Salem Ferry: Take a fast ferry to Salem, MA for the day with discount tickets starting at $26.25. Boston Duck Tour Tickets: Take a late duck tour from both land and water with discount tickets starting at $28.32, reserve in advance. Please let me know if I missed any fun and free events in the comments below! Hope you have a great week! Thank u thank u for this site…is thr an email sugn up option for weekly updates?